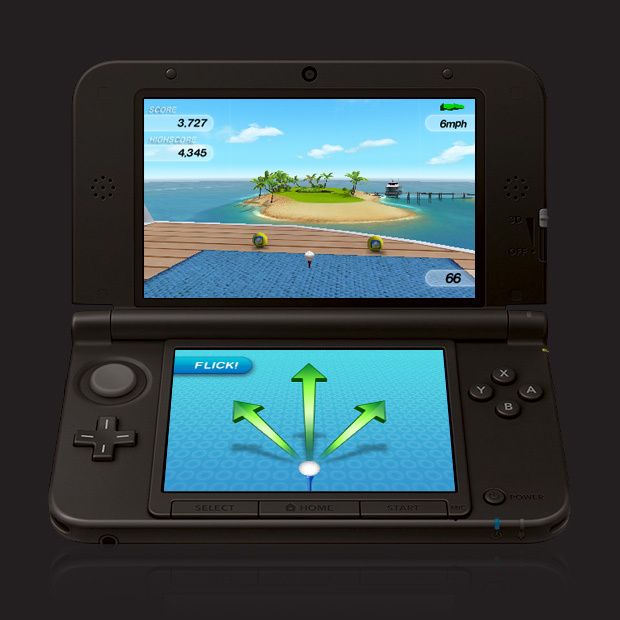 The world’s most addictive handheld golf game now for Nintendo 3DS™! 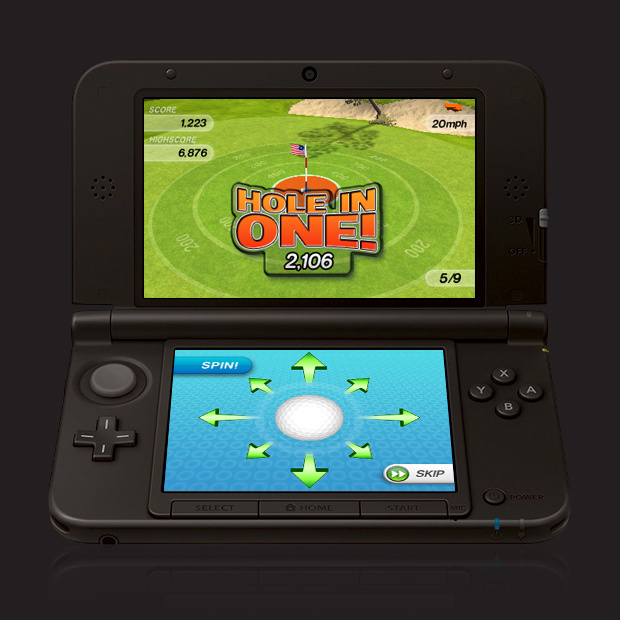 Flick, spin and curve your shots with pinpoint accuracy to sink that perfect hole-in-one. Turn up the 3D depth slider to add a whole new dimension! Experience Full Fat’s award-winning ‘after touch’ controls for the very first time on console! Beat high scores across six unique and challenging courses in Quickshot, compete for trophies in World Tour, or put your golf skills to the ultimate test in Quickshot Pro. 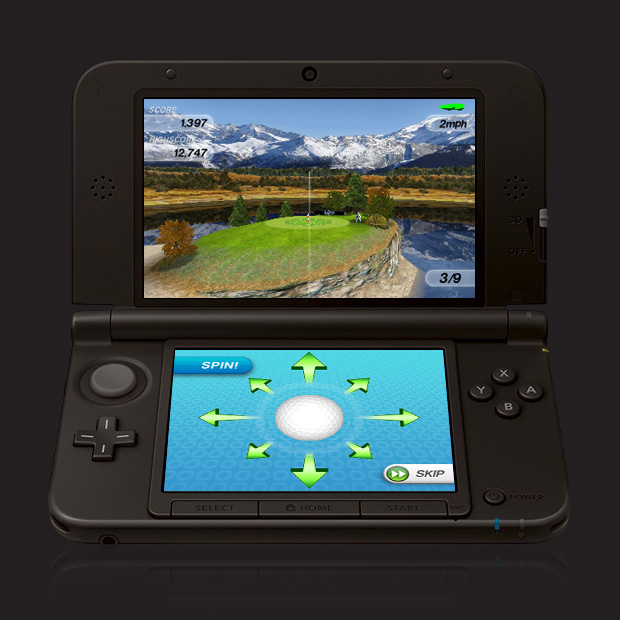 StreetPass with other Nintendo 3DS users to collect their high scores & challenge them to become a golf master! The original Flick Golf is also available on the App Store & Google Play. All screenshots on this page are 2D images of a Nintendo 3DS game. 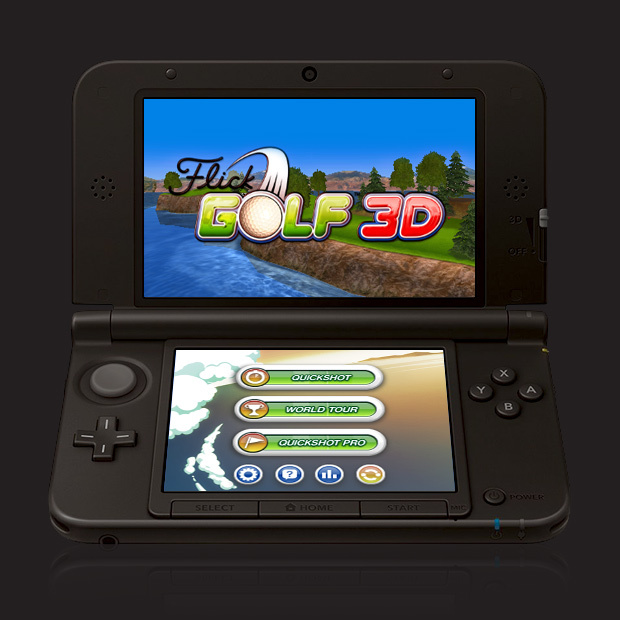 3D Function only available on Nintendo 3DS.